Nutrition (from official sources) - 299kcal. Sodium - 516mg. Fat 11g. Saturated Fat - 6g. Thought I'd finish off all the Korean snack wraps all at once, and it gives me an excuse to keep the reviews short an brief. 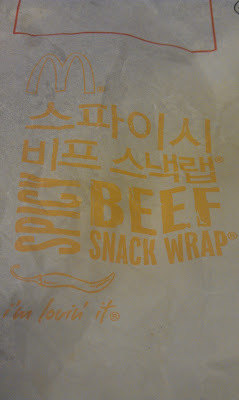 This is one of the two standard Snack Wraps at Korean McDs. I had this back in August 2011, a month or so after they were introduced. 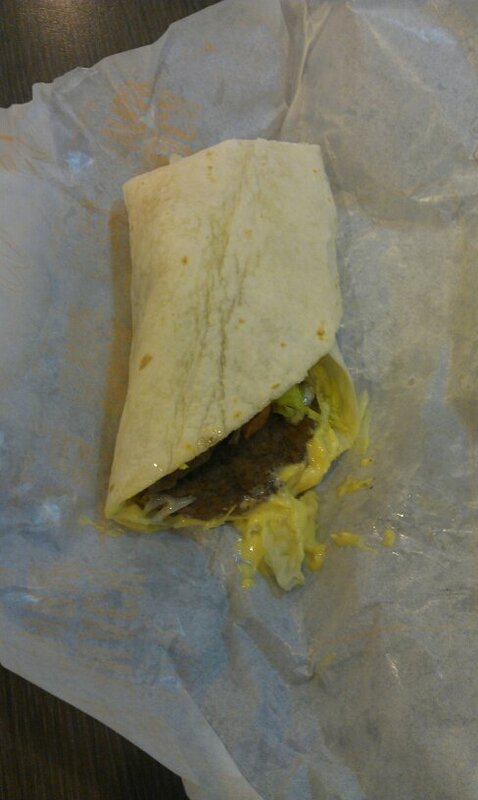 I had it again with my girlfriend in April 2012, when the photo of the wrapper is from. It is still 1800KRW or 2800W with a medium drink. The spicy beef is very similar to the Mac Snack Wrap in North America, except instead of Big Mac sauce, they use the Shanghai Spicy Mayo which does give it a decent flavour. You get an entire standard hamburger patty folded up inside. As you probably guessed from my previous reviews, I'm usually a fan of the wraps, and this one was no exception. As a snack, it serves its purpose well.